The people in Brooklyn, like people everywhere want their home to be attractive and comfortable, which is why you purchase nice and comfortable furniture for your home or apartment. However, over time furniture becomes worn or breaks or you simply want to purchase new furniture to create a little change in your home or to accommodate your growing family. But let's face it with so many people in Brooklyn living in apartments, or small single family homes getting rid of that large and bulky furniture is a bit of a problem. You can't simply put that sofa, love-seat, or recliner in your apartment's dumpster, or sit it out by the curb, or leave it sitting in your backyard or outside your door. 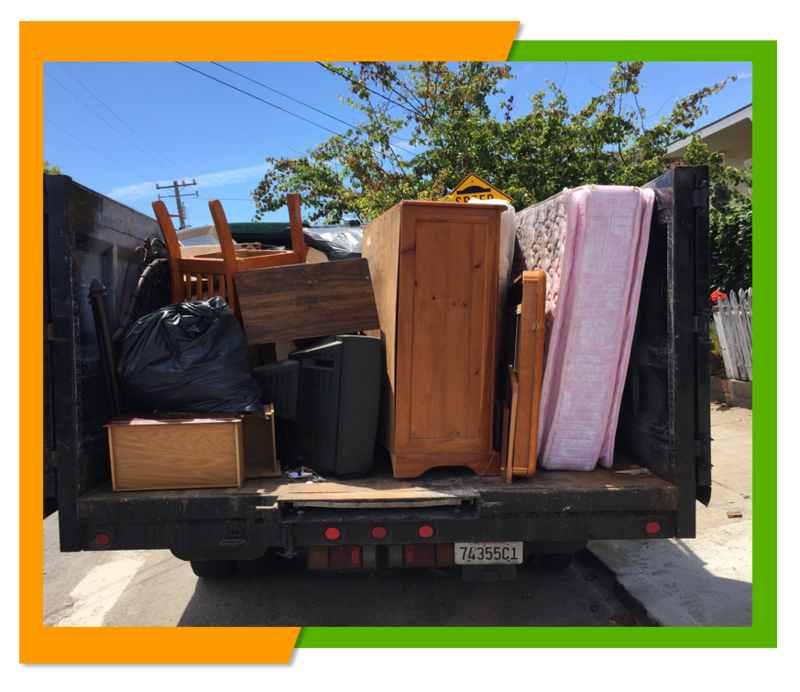 You could hire a Uhaul to haul away your old furniture and either get some friends or hire someone to help you load the truck so you can haul the furniture to the nearest recycling or disposal plant, or you could simply hire our services here at Flat Rate Junk Removal. 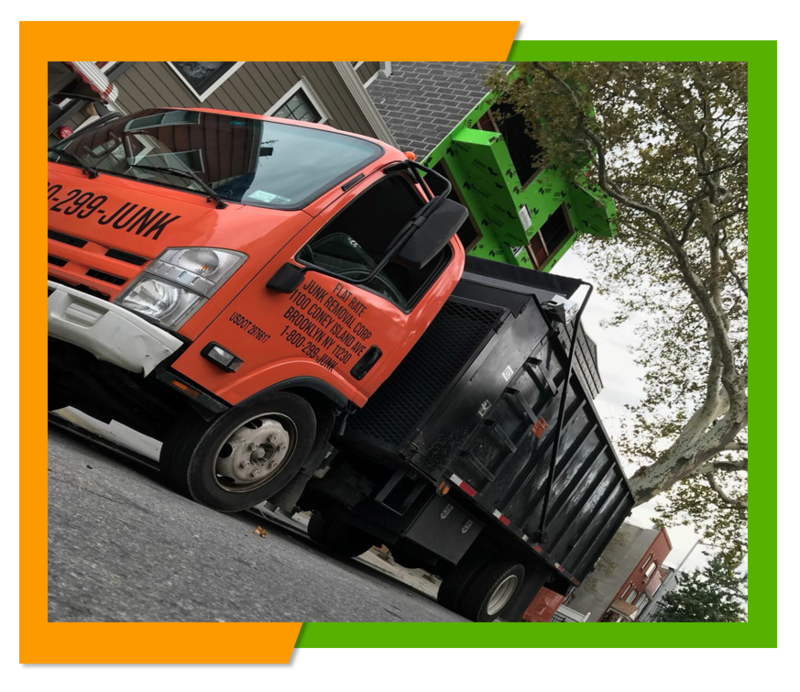 When you hire our services here at Flat Rate Junk Removal we will come to your location with out truck that holds 24 cubic yards and remove all the furniture you wish to have to removed. All you have to do it point to the furniture you would like to have removed and our two men crew will load your old furniture onto our truck and remove it for you. You pay for fee for the complete service and won't have to go to the back breaking work of removing your old furniture itself. If you are looking to have still useable furniture removed and don't want to throw it away then we can take your old furniture to somewhere where it can be donated to others who can use it and don't have the finances to purchase new furniture. We can also divide a room of furniture taking some to be donated and some for permanent removal if you need us to do so. Of course in most cases you don't want your old furniture removed until your new furniture arrives, which is one of the reasons why we offer same day removal services. Just give us a call and tell us what time you want to have your old furniture removed and we will will send one of our two men crews and a truck to take care of one of your furniture removal needs. We offer flat rates for removal of all junk from your home including your old furniture. To get a list of removal cost check out website right here at www.flaterate-junkremoval.com or give our personal representative a call at 1-800-299-5865 to have any of your questions answered or to get a free estimate for our services. If you need to have old furniture removed, then why not choose a company that you can trust? Give us a call here at Flat Rate Junk Removal and we will be more than happy to cart your old furniture away saving you time and money.